But above all these stunning features the display is quite something that demands a special mention. The resolution of 2560 x 1440 is quite lavish for a machine of this size but that’s not all. Samsung has introduced an outdoor mode that increases the already high brightness of 350 nits all the way up to 700 nits, a feature which is going to be very useful for people who use their laptops for a lot of outdoor works and students who get to do a lot of assignments outdoors.The Samsung series 9 2015 edition weighs at just 0.948 kg and comes at just 0.46 inch thickness. The sides of the notebook measures at 11.19 inches and 8.37 inches. The sound system in the laptop is a PC – Fi (Wolfson WM5102) integrated into the board and the notebook is also equipped with a 720p HD camera which sits on top of the HD display.Samsung has also bundled some new software packages with this laptop which includes a drawing pattern on the touch pad and also a one touch hiding facility that lets you select between windows on the press of a button. 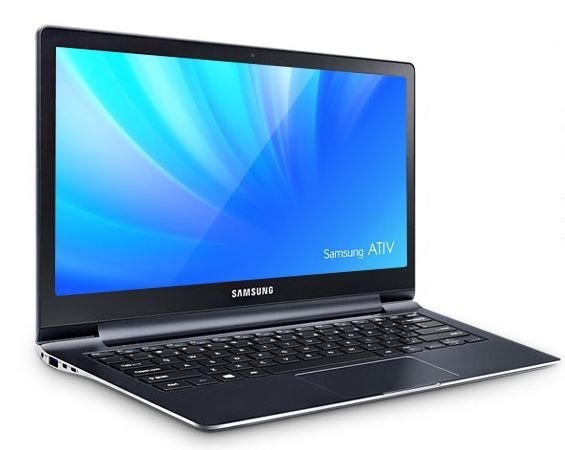 The specifications relating to the battery capacity of the notebook are not known as of now but Samsung has confirmed that the device will provide a backup up of up to 10 hours which means that you don’t need to search for charging sockets each time you open your notebooks. The ports include two USB 3.0, Micro HDMI, RJ 45 for sound out, and an HP / mic combo. The notebook es in Imperial Black color only but it is expected that more colors are on their way. The 4 GB RAM and 128 GB SSD model is available for $1199.99 and the 8 GB RAM and 256 GB SSD model is priced at $1399.99.